Calming Tea — including its production, distribution, and consumption — has a surprisingly contentious and fraught history. It’s a little ironic considering that tea is associated with refined traditions, dainty parties, and rest and relaxation. 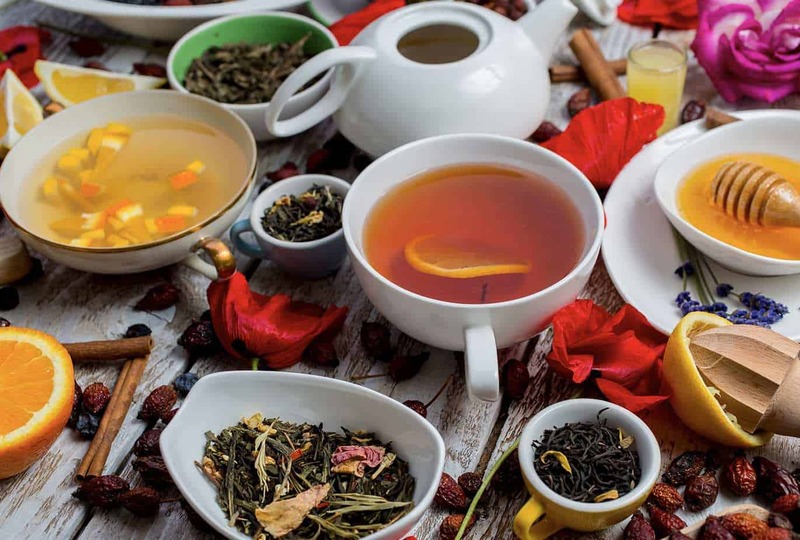 Even more ironic, many types of tea contain caffeine, a known stimulant and energy booster, despite most of its consumers drinking it when they’re just looking to relax. So why do people go for coffee when they want a quick burst of energy and drink tea when they want to wind down and rest, especially considering that both beverages have caffeine? To answer that question, we must consider tea for more than just its caffeine level; we must look at its overall composition. Most types of tea contain a compound called L-theanine, which promotes relaxation without dulling the effects of the caffeine. In fact, research shows  that L-theanine seems to enhance the effects of caffeine by increasing focus and alertness while reducing the negative side effects like jitteriness, palpitations, and increased anxiety. Most types of tea contain a compound called L-theanine, which promotes relaxation without dulling the effects of the caffeine. In fact, research shows that L-theanine seems to enhance the effects of caffeine by increasing focus and alertness while reducing the negative side effects like jitteriness, palpitations, and increased anxiety. This unique tea paradox is only one among many reasons why people love their “hot cuppa.” For many people, drinking tea is a part of their daily ritual — especially at nights — because the calming and slightly sedative effects of tea not only helps them fall asleep faster, it also helps them stay asleep. 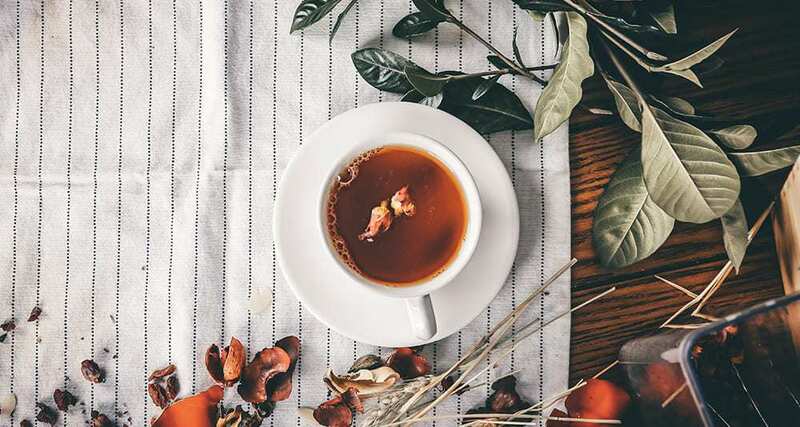 If you are looking to start your own nightly tea ritual, if you have chronic insomnia, or if you just want a little nudge to get to bed from time to time, below are five calming teas for sleep. Very few people even need to ask about the benefits of chamomile tea. It is probably the most well-known variant of tea to help with sleep. The chamomile plant has a long and rich history of being used for medicinal purposes in traditional and Eastern medicine. But chamomile tea, specifically, is made from the dried flowers of the chamomile plant. The best thing about chamomile, and perhaps what makes it one of the most well-known teas to help sleep, is that is doesn’t contain any caffeine. Without that caffeine — and with the help of certain flavonoids — chamomile tea can help promote tranquility and calmness . It’s also a great anti-oxidant and has antimicrobial properties. Chamomile is best taken with honey or lemon. The potency of the flavor is different per brand. Nevertheless, chamomile tea has soothing and tranquilizing effects, which is why you should take it only before going to bed. Drinking chamomile tea in the middle of the workday might make you drowsy —or at the very least hinder your productivity a bit. 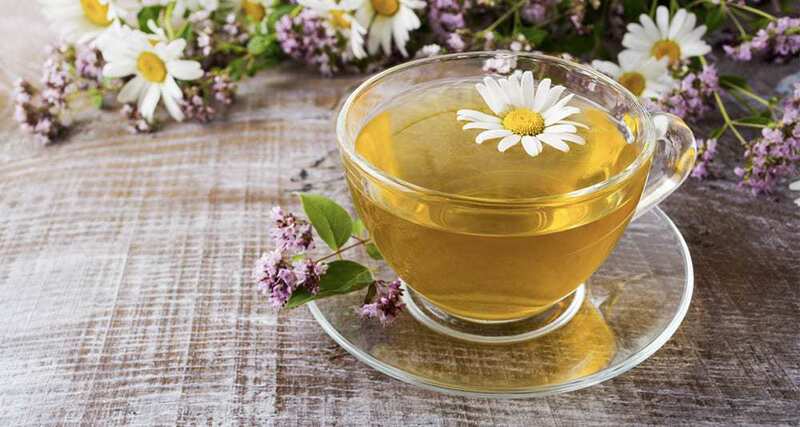 Aside from helping you sleep, chamomile tea can also be taken to help relieve menstrual cramps, as well as relief for stomach ulcers and other gastrointestinal disorders . If you can only keep one variant of tea in your cupboard, the versatile chamomile tea is an excellent choice. Green Tea might not be the first that comes to anyone’s mind when considering a calming tea that will help one relax and fall asleep. It’s probably more popular for dieters and those with digestive issues because of its fat-burning and diuretic properties. Green tea is indeed more commonly known and associated for its positive effects on digestion, and even for its refreshing taste. However, that still doesn’t even scratch the surface of just how awesome green tea is. It’s loaded with antioxidants and nutrients; it can help lower the risk of cardiovascular disease; it contributes to the increase of metabolism; it promotes the production of collagen for healthy-looking skin and hair, and it can even help manage cholesterol levels . That long list of benefits truly makes green tea a great choice of beverage to take before going to bed. Not to be overlooked are the amazing effects that green tea can have on the brain. It can help improve your mood and address symptoms of depression and anxiety . Green tea can help improve your quality of sleep and sleep efficiency and can put you in a better cognitive state upon waking up. The caffeine levels in green tea are so minimal (when compared to other caffeinated drinks) that it should not interfere with your good night’s rest . 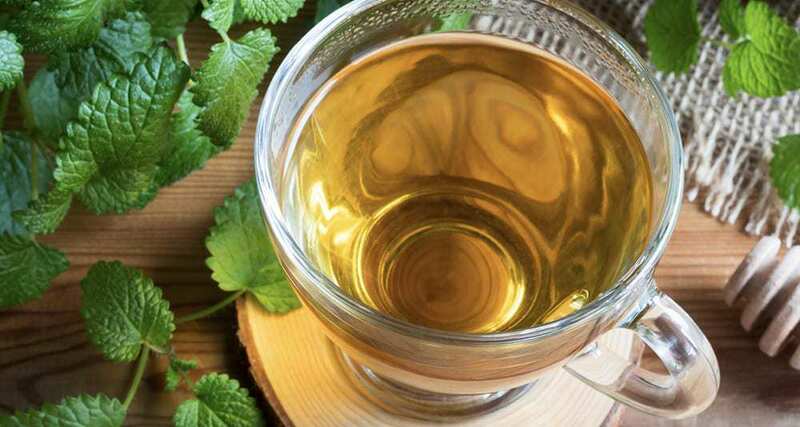 Nevertheless, if you prefer to totally eliminate caffeine consumption, especially at nights, caffeine-free variants of green tea are widely available. Lavender in all its forms is well-known for its calming and restorative properties. It’s much sought after as an essential oil, a fragrance oil, and as an additive to many skincare and beauty products. Lavender tea is made from the dried flower petals and buds of the lavender flowering plant, which is where it gets it a lovely purple hue. As for the taste, it’s slightly minty and sweet, and very mild on the palate. To prepare, steep some loose leaf or a tea bag in boiling water. Inhale the calming aroma, let it settle you down, and allow it to evoke a peaceful mood while you wait for your tea to cool down enough to drink. This aromatherapy and tea ritual is best at nights, right before going to bed. Lavender helps promote deep and restful sleep and, curiously, has a more potent effect on women than on men . It’s calming properties are not limited to the mind or experience, either. It’s also great at addressing a range of digestive issues, including diarrhea and stomach cramps. In fact, the mere scent of lavender can help promote the production of bile in the body, which helps in speeding up the digestion process . The passionflower plant is a small, flowering plant has a flower that resembles a cross — hence the name. We think that passionflower tea is severely underrated. This mild-tasting and somewhat-sweet floral brew is calming and soothing to the mind and the muscles alike. It has been used to help manage insomnia, anxiety, muscle spasms, and even Attention-Deficit-Hyperactivity-Disorder. It does have it’s faults though; drowsiness can be one of the side effects of drinking passionflower tea. Aside from its slight sedative effect, it is also known to help promote overall relaxation. A cup of passionflower tea before bedtime can also help improve the quality of your sleep. Ingestible passionflower comes in multiple forms, like liquid extracts and capsules. It’s also widely available as loose leaf or prepackaged tea. If you happen to have a passionflower plant in your backyard and you want to go the DIY route, you can boil dried passionflower and make your own herbal tea. The lemon balm tea is not a tea blend made from different ingredients. Rather, it is derived from the lemon balm plant, not to be confused with the lemon plant. As an herb, the lemon balm plant has historically been used to treat various ailments for centuries! It’s most popular use is for insomnia and anxiety because it has mild sedative properties . Taste-wise, the lemon balm tea is sharp and somewhat minty. Because of this, it’s also a popular addition in many recipes and can work as a mint substitute. Studies have shown that it helps promote a state of rest, relieve stress, manage anxiety symptoms, and induce sleepiness . It can be purchased dried and prepackaged in tea bag form. But if you to prepare your own brew, simply tear fresh the lemon balm leaves and put it in a tea infuser. Let it seep in a sealed pot for about five minutes. 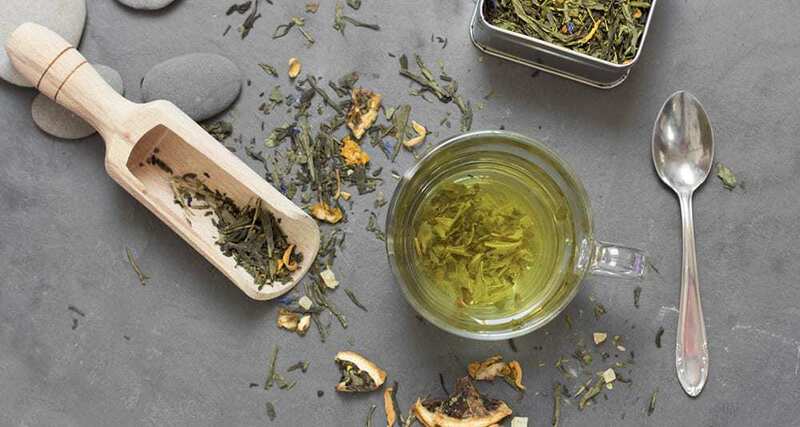 Despite all the studies, research, and even anecdotal information about the effectiveness of tea as a sleep agent, you shouldn’t chuck all of your favorite over-the-counter and prescription drugs out of the window just yet. Some people will go as far as to say that the relaxing and mildly sedative effects of habitual tea drinking at night might be a placebo. The ritual act of preparing a warm cup of tea, whether loose leaf or in a tea bag, and slipping into a warm and comfy bed is seemingly all there is to it. The human body is incredibly complex and unique. We cannot discount the fact that what works for some might not work for others. We say that if you find something that helps relieve anxiety symptoms, helps you better deal with nervous conditions, reduce your stress, and give you a peaceful sleep — whatever it may be — then you are in luck! If it happens to come in a form of a delicious and soothing cup of tea then all the better. When it comes to insomnia, serious sleeping disorders, issues with anxiety, and mood disorders, it’s best to consult an appropriate medical practitioner. Do not try to self-medicate with tea and herbs. 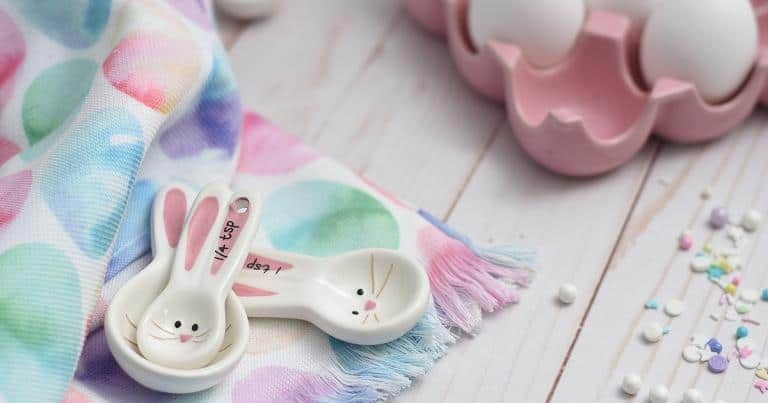 While tea is generally safe for most people, one cannot rule out potential allergies or possible side effects when taken with other medications or while pregnant or breastfeeding. As with anything you put in your body, proceed with caution and when in doubt, consult a doctor. David M.Penetar, 1 Una McCann, David Thorne, Aline Schelling, Cynthia Galinski, Helen Sing, Maria Thomas, and Gregory Belenky. US National Library of Medicine, National Institutes of Health; Anti-Stress, Behavioural and Magnetoencephalography Effects of an l-Theanine-Based Nutrient Drink: A Randomised, Double-Blind, Placebo-Controlled, Crossover Trial, David J. White Suzanne de Klerk, William Woods, Shakuntla Gondalia, Chris Noonan, Andrew B. Scholey, January 2016. US National Library of Medicine, National Institutes of Health; Chamomile: A herbal medicine of the past with bright future, Janmejai K Srivastava, Eswar Shankar, Sanjay Gupta, November 2010. Harvard Medical Publishing; Green tea may lower heart disease risk, December 2012. 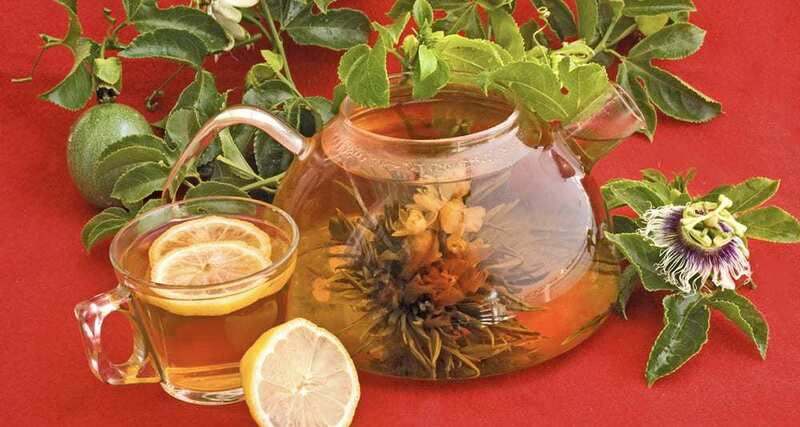 Health Line; Tea for Depression: Does It Work?. Health Line; How Much Caffeine Is in Green Tea?. US National Library of Medicine, National Institutes of Health; Lavender and the Nervous System, Peir Hossein Koulivand, Maryam Khaleghi Ghadiri, Ali Gorji, March 14, 2013. 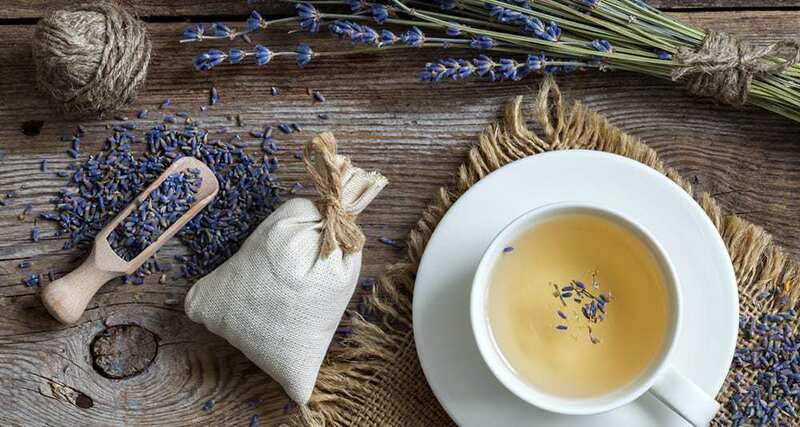 Organic Aromas; 7 Benefits of Lavender Essential Oil, Chad Pegura, February 03, 2019. Very Well Health; The Many Uses for Lemon Balm, Richard N. Fogoros, MD, December 03, 2018.